Santhanam is in love with Samantha! Director Bala is planning to rope in his Naan Kadavul heroine Pooja for Eriyum Thanal. The director is to conduct a test shoot on Pooja and is expected to officially announce her as the heroine in the film. The film also star Vedhika as a female lead with Atharva as the hero. Music for Eriyum Thanal is being scored by GV Prakash. The film is based on a Malayalam novel, say sources. Following the good reception for 3D venture Ambuli, the producers KTVR Creative Reels have chosen to do a sequel to it. The movie would be directed by the same duo – Hari Shankar and Hareesh Narayanan. Satheesh G would be cranking the camera for the sequel too. 'It would be a 3D special and it would be made using state-of-the-art technology. A popular actor would be roped in to do a key role'. Also plan are on use new methods in film-makig for the sequel, they added. 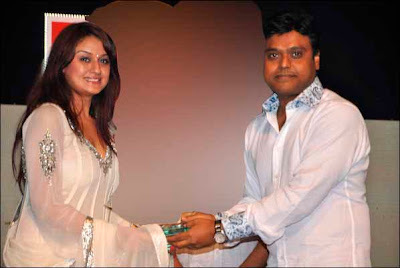 Sonia Agarwal's comeback in film industry through Oru Nadigayin Vaakkumoolam wasn't a real big hit, but the actress was appreciated for her commendable performance. Now with couple of movies in Malayalam proceeding towards completion, the actor is holding talks with some directors in Tamil film industry for more projects. The actress has now decided to start a music school and it has been named as MUSIC GARRAGE. Music director Harris Jayaraj will be inaugurated the music school. Director Rohit Shetty has lashed out at Asin for circulating false news that she is the heroine in Chennai Express, starring Shah Ruh Khan. Rohit says that he is busy with Bol Bachchan Bol and has not decided on the female lead in Chennai Express. He has also denied rumors that Deepika Padukone or Katrina Kaif may be roped in for this film. Rohit says that he was shocked to see reports that Asin has been signed up to play the female lead in Chennai Express. Asin had told in an interview that the deal has been signed up too. Denying this, Rohit said that Asin is a liar and lashed out at her for behaving so cheaply. Bollywood actor Saif Ali Khan is likely to be arrested for fracturing the nose of a guest at the Taj Hotel in Mumbai. Saif along with Kareena Kapoor and some of his friends were having a good time at a restaurant at the Taj Hotel in Colaba last night when the incident occurred. The victim Iqbal Sharma filed a complaint on the actor for punching him on his nose. Sharma had allegedly objected to the commotion created by Saif and company and ask them to keep quiet, the actor did not take it in good spirit and punched him on the nose. The police have arrested Saif in this connection and all those present with him will be questioned including Kareena, informed the police. The offense is bailable and if a huge surety is given Saif may be released soon, said sources. 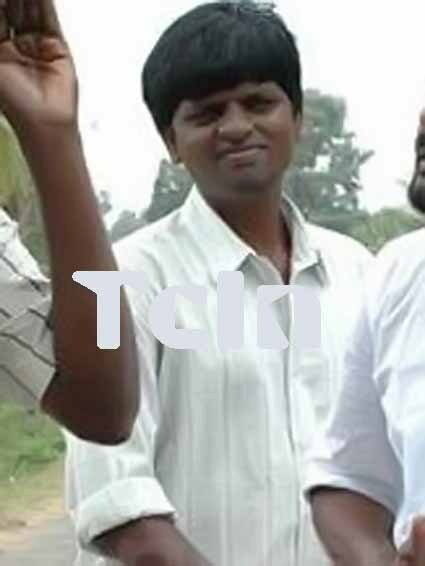 Young comedy artist Muthuraja has paased away on Tuesday night at his native place KK Patti near Theni. 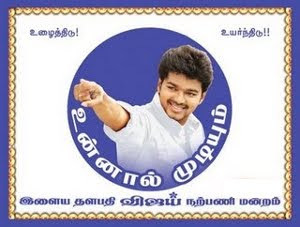 Tamil film industry always welcomes new trends and of course it has been reason behind the producers churning out new styled movies often with accordance to the periods. Earlier filmmakers like Balu Mahendra and others used to make movies based on short films. But the trend is now at peak with the grand success of Kadhalil Sodhapuvadhu Yeppadi that is earning good response in all groups. Nearly before a year, Balaji Mohan made this as a short film that won incredible praises, which attracted cinematographer Nirav Shah to make this into a full-length feature movie. Now with the film turning to be a sleeper hit, Kollywood welcomes another short filmmaker Karthik Subburaj, who will make his debut directorial soon. Santhanam is in love with Samantha! Well, it is not in reality but in a film titled Naan E. This film, directed by SS Rajamouli, is being made in Telugu under the title Eega. Sources say that Nani, who plays the lead role in this film, is killed by the villain, and he is reborn as a fly and avenges his death. Santhanam plays the comedian in this film. Sources say that he plays the role of a guy deeply in love with the leading lady Samanatha. Actor Vimal's upcoming film Ishtam is seeing through good phase as the producers are finding easy time to release the film. The film is something special in the career of Vimal as he will be seen in a new trendy urban look as he performs the role of a software engineer. The film marks the debut of Kajal Agarwal's younger sister Nisha Agarwal in female lead character while Santhanam plays an important character. The film is scheduled to hit screens on March 3. "Namma Chennai girl" Samantha had never tasted success in Kollywood. Her launch films in Tamil, Moscovin Kaveri and Bana Kathadi were duds at the box-office. However Samantha's career zoomed in Tollywood after her Ye Maaya Chesave, Brindavanam and recent Dookudu were super hits. Actually Dookudu turned out to be a blockbuster and made her the hottest heroine in Tollywood. Now Samantha is determined to make it big in Kollywood. The first of her releases this April will be leading Telugu director SS Rajamouli's bilingual Naan Ee. It is a superhero film where she is pitted opposite Nani of Veppam fame. Says Samantha : " I think Naan Ee is going to be a breakthrough film for me as I have a very pivotal role. After that my next release in Tamil will be Gautham Menon's Neethaane En Ponvasantham. I'm doing also a few films in Telugu." Samantha is also cast as Mani Ratnam's heroine opposite new boy Gautham in his under production film Kadal. She is waiting for an official announcement from his production house. The actress is hoping that this year will turn out to be memorable for her in Kollywood.